We often get calls from customers who have copied a model to another computer and then get the dreaded “…file was not found” message when they open the model. It may be a missing picture, Excel spreadsheet or some other imported file. When copying a model from one computer to another, you may need to copy more than just the model file. If your model uses other files such as graphics, sounds or spreadsheets you’ll need to package all of them with the model file. If you have to e-mail your model to isee support, it’s good to know how to package all the necessary files so that we can recreate your setup. 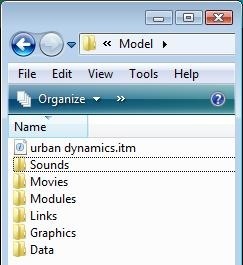 Locate all the associated files in the same place as your model file. The one thing to watch out for is the situation of having one file that is accessed in more than one way. 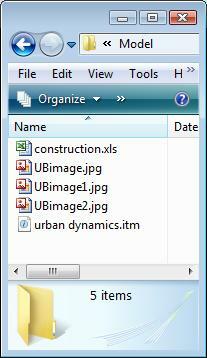 For instance, an Excel file that is used for importing data but is also accessed via a hyperlink button. In this case, the Excel file should not be in a sub-folder. Instead, keep it in the same folder as the model file. Now you can copy the folder to another computer or flash drive, or burn it to a CD. If you are going to e-mail the folder, you might want to zip it up so you only have one file to send.